The New Year is traditionally a time of new resolutions, optimism, and a desire to take our careers to the next level. In the world of cyber security, that may mean wanting to take on new responsibilities, a switch to a new company, or perhaps even your first job in this field. Whatever your goal, one thing is certain: Having the best security certifications will help. And here’s the icing on the cake – did you know that the average cyber security position pays on average $17,000 / year more than median IT positions? 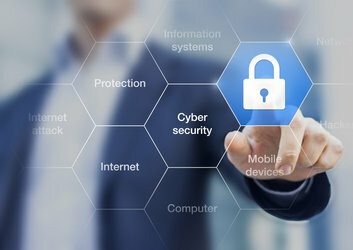 For employers, it is hard to gauge which candidates are the right fit, so certifications are considered to be an objection measurement of a candidate’s cyber security abilities. But with so many online security certifications to choose from, how do you know which one is the best one to choose? Many of them require significant investments of time and money, so you should choose wisely. Please note that these aren’t shown in order of importance – we’ve just included them to help give an overview of some of the most popular and in demand courses. The CEH online training course covers 18 of the most up to date and important security domains you will need to consider as an ethical hacker when you are looking to test how well your organization is prepared for attacks, and to improve information security policies through identifying potential weaknesses. Taking you through 18 modules, the course comprehensively covers over 270 attack methods and technologies commonly used by cyber criminals and hackers. The CCISO Certification from EC-Council is an industry-leading CISO training program that recognizes the variety and depth of real-world experience that is required to succeed at Executive level in information security. Itwas listed above the CISSP as one of the certifications held by top earners in Certification Magazine’s ‘Salary Survey 2015: An All-New Salary Survey 75’. The CISSP Certification is seen by many as the gold standard in information security certifications. CyberVista’s 12-week CISSP online course is fully (ISC)2 approved, and is aimed at anyone who wants to study the 8 domains in the CISSP course material and prepare for the exam in a convenient, part time fashion. Through a combination of live online training, on-demand videos, innovative delivery of content using light board technology (see FAQs for more details), and strategies to help you when you get to the day of the exam. Plus, according to Global Knowledge’s IT Skills and Salary Survey, the average salary for employees possessing this qualification is over $121,000. For people interested in making their first steps toward a career in cyber security, the CompaTIA Security+ Certification is a great start. It is widely seen as one of the best introductory qualifications and a great way into the cybersecurity sector. By gaining the Security+ certification, you will be qualified to deal with a wide range of considerations that need to be taken into account to implement successful security strategies. Encryption is becoming an increasingly important part of cyber-security. This course will teach you the foundations of modern symmetric and key cryptography, including the details of algorithms such as Feistel Networks, DES, and AES. In terms of practical application, you will learn how to set up a VPN, encrypt a drive, knowledge of steganography and cryptographic algorithms. EC-Council’s ECES Course is for anyone involved in the selection and implementation of VPN’s or digital certificates should attend this course. Without understanding the cryptography at some depth, people are limited to following marketing hype. The CHFI from EC-Council is a computer forensics course that will give you a range of skills to help you identify an intruder’s footprints and teach you how to gather the necessary evidence to prosecute. You will be taught about many of the top tools used in computer forensics, including hardware, software, and specialized techniques. Make sure you’re ready by completing this online training course and getting certified as a Computer Hacking Forensic Investigator. The CND course from EC-Council is the most advanced Certified Network Defense course with 14 of the most current network security domains any individuals will ever want to know when they are planning to protect, detect, and respond to the network attacks. If you’re in it just for the money, then this is the course for you. According to Global Knowledge’s IT Skills and Salary Survey, the average salary for employees possessing this qualification is over $130,000. In other words, in terms of salary, employees with this certification are the highest earners in the field of cyber security. However, the downside is that in order to stay valid you have to ‘keep it current’ by resitting regular exams. This is another big earner – with an average salary of over $128,000. It is designed for managers and has a strong focus on strategy and policies. However, this one is not for beginners – a minimum of 5 years experience in Information Security is required before you are permitted to take the course. Plus this cannot be 5 years back in high school – the experience must be relevant from within the last 10 years. But if you meet the criteria, then the rewards (especially financial) are very handsome indeed. The CCSP certification program from ISC2 is becoming more popular with the spread of cloud computing systems. It is specifically designed for information security professionals with a minimum of 5 years work experience, including a minimum of 1 year of cloud security experience and 3 years of information security experience. The average annual salary for CCSP certificate holders is currently $81, 374. This course equips you with the knowledge necessary to implement and maintain an Information Security Management System (ISMS) which is compliant with ISO27001. This course is relevant and useful for anyone involved in a company’s (or organization’s) ISMS, including managers, consultants, those responsible for maintaining ISO27001 compliance, and ISMS team members. There are several different providers of this course, some offering it as an in-person course, others offering it online, so be sure to explore which version is the best fit for your specific needs and circumstances. The OSCP course has been described as a difficult certification to obtain, but one which will give you the necessary skills to understand the penetration testing process and life-cycle. Offered by Offensive Security as an ethical hacking certification, they ask candidates to sit a 24 hour certification based on real world situations, which they argue offers real world benefits. These benefits include the ability to identify vulnerabilities in security systems, write simple Bash/Python scrips, compromise vulnerable PHD scrips, and carry out controlled attacks. A prerequisite for this course is the Penetration Testing with Kali Linux training course, also offered by Offensive Security. The OSCE course is another ethical hacking certification offered by Offensive Security. As with OSCP, the OSCE course is designed for professional penetration testers. The exam itself involves a vulnerable network which has been designed to be penetrated within a 48 hour (yes, this exam is 48 hours long!) period. Their are a variety of hosts and points are awarded for each one compromised. Passing this exam demonstrates the candidate’s ability to think laterally and penetrate information security systems in real world scenarios. A prerequisite is the Cracking the Perimeter (CTP) exam. Similar to OSCP and OSCE, the APT course prepares ethical hackers for real world scenarios. Students have to overcome defenses as well as discover targets, similar to situations you may encounter in ‘the real world’. Not only does the course teach you how to perform a professional security test, but it also shows you how to then present your findings in reports. For IT professionals who are serious about a career in information security, this course is a valuable addition to your skills and qualifications. The GSEC course is a good option for entry level information security professionals. It is considered to be a good “all-rounder” demonstrating not just theoretical knowledge about information security, but also hands on practical skills. 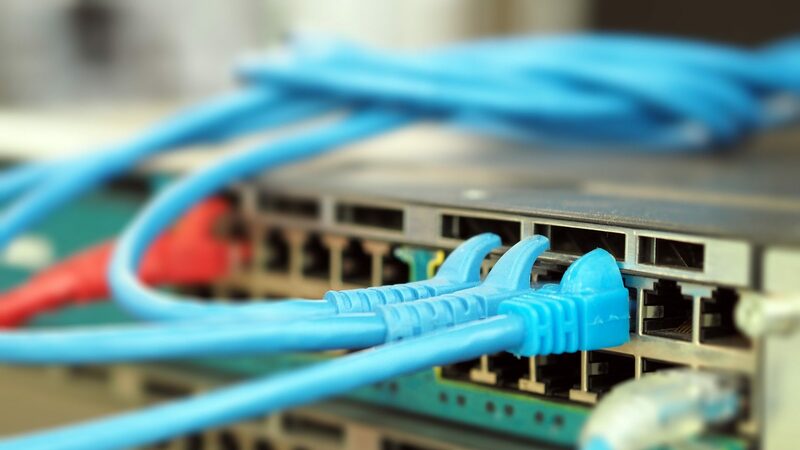 These include the ability to prevent common wireless attacks, password management, DNS, and cryptography fundamentals among others. The exam itself takes 5 hours and has 180 questions. Many of these training courses are available through our partners at discounted rates for the ISCN community (which you are a part of if you’re using this site). You can view the full list of our current training discounts on our homepage. Start today to find out more and start your journey, get certified, and get that promotion!